The house also has a swimming pool and spacious outdoor entertainment area where guests can savour the beautiful South African climate. The decor of this suite is inspired by the meeting of European and African culture and celebrates the energy and vibrancy that results from any such cross-pollination. This results in extensive use of lively patterns, bright colours and unusual juxtaposition of objects. Featured art: photographs by John House custom-framed in a repurposed suitcase. 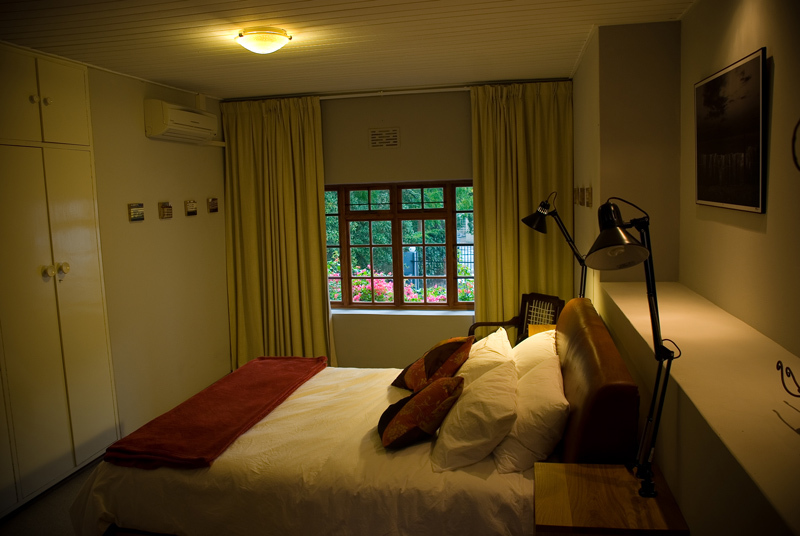 The suite offers a fully equipped kitchenette, air-conditioning, 205 thread-count cotton percale linen, a flat-screen TV with a selection of DSTV channels, wireless internet reception and a private veranda facing our herb-garden. This spacious two-bedroom, self-catering unit sleeps four a queen-sized bed in the main room and two single beds (that can be combined into a double bed) in the second room and is ideal for families or groups of friends travelling together. Featured art: photographs by Jac Kritzinger; a hand-made, wrought-iron candelabra by Andrew Lord; a post-card found-object installation by John House; repeat-prints of pilchard can-labels (a la Andy Warhol) by John House; and a sculpture by John House. Both the bedrooms have air-conditioning, 205 thread-count cotton percale linen and wireless internet reception. Downstairs there is an open-plan lounge and dining room and a fully fitted kitchenette with everything needed to cook and serve a meal for four. The lounge has a flat-screen TV with a selection of DSTV channels.This spacious two-bedroom, self-catering unit sleeps four a queen-sized bed in the main room and two single beds (that can be combined into a double bed) in the second room and is ideal for families or groups of friends travelling together. Our sumptuous Honeymoon Suite offers a decadently sensual space, ideal for your wedding night or the perfect romantic getaway. The open-plan shower and Jacuzzi bath invites you to indulge in your passionate side, while the enclosed garden guarantees complete privacy. 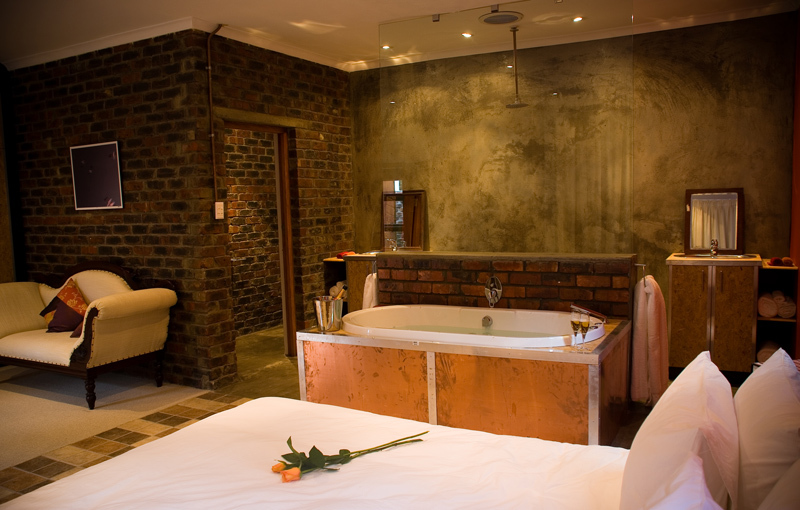 The central inspiration for the decor in the Honeymoon Suite is playing contrasting textures against each other, creating a sensual feast of raw brick, bare cement, textured wood and various metals against a backdrop of warm, wine-red walls. Featured art: photograph by Jac Kritzinger and paintings by John House. Featured art: African craft-market objets d'art; found-object sculpture by Dirkie Uys; spray-painted mural on corrugated iron by John House; and paintings by John House. This two-bedroom suite can sleep up to 6 people, with a queen size bed in the main bedroom, 2 single beds in the second bedroom, and a double sleeper couch in the lounge. 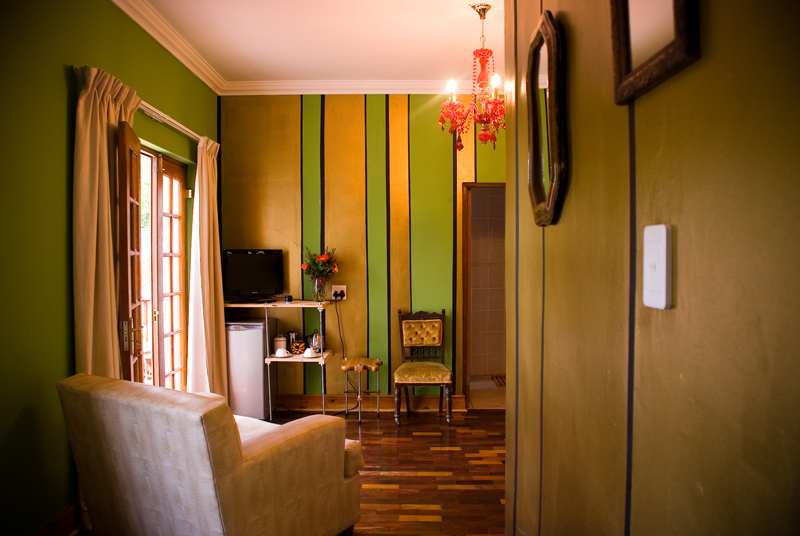 This suite also offers a fully equipped kitchenette, air-conditioning, a flat-screen TV with a selection of DSTV channels, wireless internet reception and a beautiful private garden. Featured art: a hand-made, wrought-iron candelabra by Andrew Lord and mirror installation by John House. At House of House, we are strongly committed to being as eco-friendly as we can. This is rooted in a firm belief that we are all custodians of the Earth, entrusted with a responsibility to future generations to ensure they inherit a planet with clean air, drinkable water and a healthy eco-system. In the building process, we have as far as possible used locally sourced materials and craftsmen to minimise our carbon footprint. We have also taken great pains to recycle and re-use as much of the building material as we could in an effort to reduce waste and the resultant land-fill. In decorating the house, we have again used local sources and craftsmen where possible. In the day-to-day running of the house, the eco-friendly measures we have introduced have led to a 75% reduction in household waste, as compared to the average in our neighbourhood. We compost all our garden waste and vegetable waste from our kitchen, returning those nutrients to the soil as wholesome organic fertiliser. 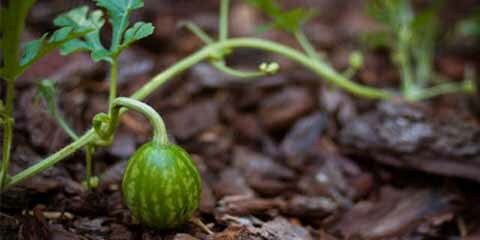 Furthermore, we practice only organic gardening, using no pesticides or chemical fertilisers at all. The result is a beautiful, lush garden that soaks up carbon and doesn't add poison to the soil or water table. In our braai and fireplaces, we burn only firewood harvested from invader-species as part of a local nature-conservation project. This has the dual benefit of giving indigenous species a fighting chance against invaders, and minimising our carbon footprint by not using electricity, gas or coal for heating or braaing. We have also replaced more than 95% of the light-bulbs in our house with energy-savers, thereby reducing our reliance on South Africa's antiquated coal-fired power stations. As further means for reducing our outside electricity needs, we are investigating solar geysers, photo-voltaic cells and wind-turbines. These projects will be phased in budget allowing within two to five years. 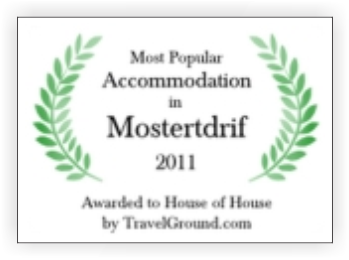 Surrounded by rugged mountains and rolling vineyards, Mostertsdrift is one of the oldest residential areas in Stellenbosch, characterised by stately houses with lush, tree-rich gardens. Bracketed by the Jan S. Marais Nature Reserve and the beautiful Eerste River, we have nature on our doorstep. Driving or cycling up the winding, tree-lined road through Jonkershoek Valley takes you past a multitude of world-class wine-farms to the Jonkershoek Nature Reserve. Here the visitor can hike, mountain bike, watch birds and game or fish for trout. In the other direction, a short walk down a street lined with centuries-old oak trees takes you to the historical heart of Stellenbosch, where immaculately restored Cape Dutch, Georgian and Victorian buildings are still in use every day as shops, offices and residences. Here the visitor will also find a wealth of coffee-shops and restaurants offering a lively, Parisian-styled sidewalk-culture. For the culturally inclined, there are numerous museums, art-galleries and theatres. Wine tours the Cape Winelands is one of the foremost wine-producing regions in the world, easily holding its own against any contenders. Rightfully proud of our rich heritage, most farms on the Stellenbosch Wine Route offer tastings and cellar tours. Golfing with ten excellent golf-courses within easy reach, the golfer is spoilt for choice. Why not come for a couple of weeks, enjoy our stunning Mediterranean climate, and play the lot? Hiking and cycling less than five minute's drive or cycle away, the Jonkershoek Nature Reserve is practically in our back yard. Here there is a wealth of hiking and mountain-biking trails ranging from easy to highly challenging, all against the backdrop of our beautiful mountains. Day-trips within a couple of hour's drive, we have Cape Town and the V&A Waterfront, Hermanus with its world-famous whales, the Franschhoek, Paarl, Wellington and Breede Rivier Wine Routes, as well as a breath-taking range of white, sandy beaches. "I would just like to let you know that I had a wonderful stay at your guest house. Thanks also for considering my food preferences and not adding yoghurt to the breakfast fruit cocktail. The breakfast cappuccinos were also a great way to start the day. 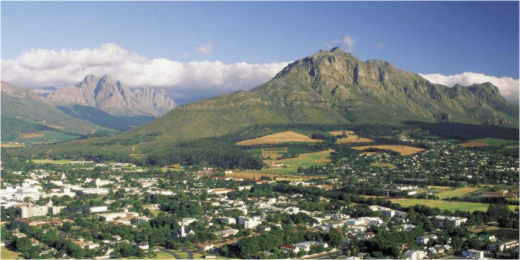 I will most definitely recommend House of House to any person (holiday or usiness) wishing to stay over in Stellenbosch." "Thank you very much for a lovely time in your "house". See you next year."